Here’s an example: On a group blog I write with, we were all asked to share our resolutions with the Universe in January, then check in throughout the year on our progress. No one in the entire group–read that Zilch.–achieved theirs (well, I did, which made our group 8%). The reasons were varied and left me wondering why create resolutions if you so quickly brush them aside? These aren’t hard and still people aren’t achieving them. Who can’t ‘increase exercise’? Or ‘be more conscientious about work’? Cut out a few chips–one chip–and you’ve ‘developed better eating habits’. So given the ease with which the average person could succeed at these goals, why do they so soundly fail? Those sound helpful, don’t they? Problem is, they don’t work. Who out there is going to revise their resolutions to make them more specific, more realistic, meet a deadline, and then share all that with friends? I’d rather take a long walk in tight shoes. They’re as useless as those suggestions for using leftover wine to make ice cubes. Who ever has leftover wine? install a bell on your phone that rings randomly. When it dings, put the potato chip down, or jog in a circle, or ask a co-worker how you can help them (Work with me here: You don’t have to actually DO anything for them). delegate. Then it’s someone else’s problem. You’ve accomplished your goal. Check it off. hire someone. This has the added benefit of helping the unemployment rate. include stuff you’ve already done. For example, if you’re not the most sociable type and one of your resolutions is to get out more, count that New Year’s party you’ve already committed to. Now you’re done. Check it off. Move on. include nebulous goals like ‘spend less’. You can do that by skipping one Starbucks. At the end of 2014, your friends will ask how you did it and you’ll feel accomplished, confident, and more sure of your ability to complete other goals. Check back here in December 2014 and let me know how you did so I can congratulate you. Jacqui Murray is the author of the popular Building a Midshipman, the story of her daughter’s journey from high school to United States Naval Academy. She is webmaster for six blogs, an Amazon Vine Voice book reviewer, a columnist for Examiner.com and TeachHUB, Editorial Review Board member for Journal for Computing Teachers, a freelance journalist on tech ed topics, and a monthly contributor to Today’s Author. In her free time, she is editor of a K-8 technology curriculum and technology training books for how to integrate technology in education. Currently, she’s editing a thriller that should be out to publishers next summer. Contact Jacqui at her writing office or her tech lab, Ask a Tech Teacher. 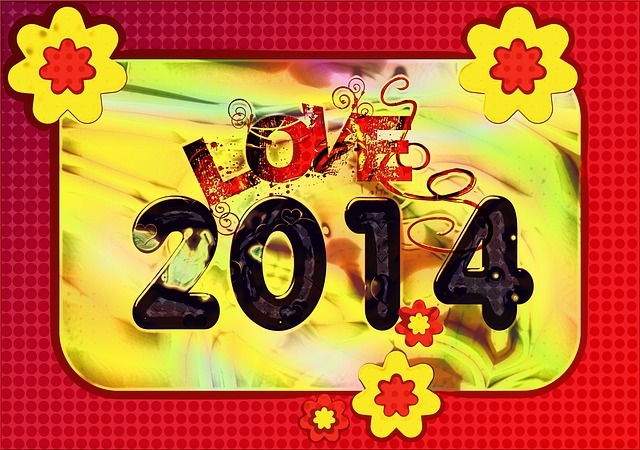 This entry was posted in Jacqui Murray and tagged New Year's, resolutions. Bookmark the permalink. I can do ‘nebulous’ and ‘delegate’, but the serious stuff–forget it. I simply chug forward and see where I putter to a stop. I’m happy to say that I achieved one of my last year’s resolutions, which was to revise and place at least 6 of my long short stories on to Kindle. Well, they are listed, so I have proof that I did it. As for the rest, I could argue that I was too busy doing the above, but that would be a lie. Oh, and I also joined the local Monday walking group and bought a pedometer that broke after a few months, but I did carry on walking nevertheless..
Now some busy body has given me a new pedometer for Christmas that will hopefully last a little longer and keep my walking incentive high on my list of priorities. I don’t have any pointers as to how I achieved either of these goals, but I guess I simply wrote one word after the other until I was done and placed one foot in front of the other until I’d walked most of the Monday walks. This year I hope to Kindle two of my already written novels that need extensive revision. So there I’ve said it! Now hopefully I’ll again continue walking and writing until I’m done. Best New Year wishes to all of you! Hope you achieve your goals, even if you don’t keep your resolutions. I like the idea of a pedometer. It would be interesting to see how far you walk an average day–just doing stuff. I tried to track it in my classroom (had a pedometer but it too broke) and kept getting distracted. First, you have to thaw out! No kidding! Headed home as we speak. Phew. That was a rough and lovely two weeks. The ending always devastating. Haha. Sometimes I put things on my daily to-do list like “drink coffee” or “get dressed”. That way, I can feel a sense of accomplishment as I cross those off. Well, I don’t actually cross “drink coffee” off because that one is never fully accomplished. As for new years resolutions, the problem I’ve had is usually that the resolutions are too broad or too aggressive given my available time. So largely I stopped doing them. Anti-resolutions, though… I can do them with ease! How about that one from a few years ago-“start a new writing community”. Check that one off! The resolution I most need to make a success – talk less. I have a tendency to flap my lips and exercise my glottis when I should be flapping my thighs and exercising my gluteus. Otherwise known as shut up and lose weight. But I like your approach. I could be successful at – something! I think before I stop keeping NY resolutions, I’ll quit making them. Just me. Do NOT stop flapping, Shari. I get such a kick out of you. Jacqui maybe as I age I become more cynical and realise I should not make the resolutions call…….Having said that I do want to be healthy and productive with writing this year……so I have just told myself fifteen minutes a day on my two WIP’s and it usually stretches out. Thanks for the tips. The age thing–I agree.My resolutions get more realistic each year. Not easier, just more attainable. I love the bell dinging strategy!